About one third of the foods and beverages we eat and drink on a daily basis have gone through a fermentation process. Just take a step back and consider this: Even our beloved coffee and chocolate have gone through fermentation. Without fermentation, we wouldn’t get the same delicious and deep tastes we enjoy and often crave! I, Alexis, have now spent some months exploring the food culture and traditional methods of food preservation on Crete. As you can imagine, I’ve discovered that many of the unique tastes are – surprise-surprise – various forms of fermentation. 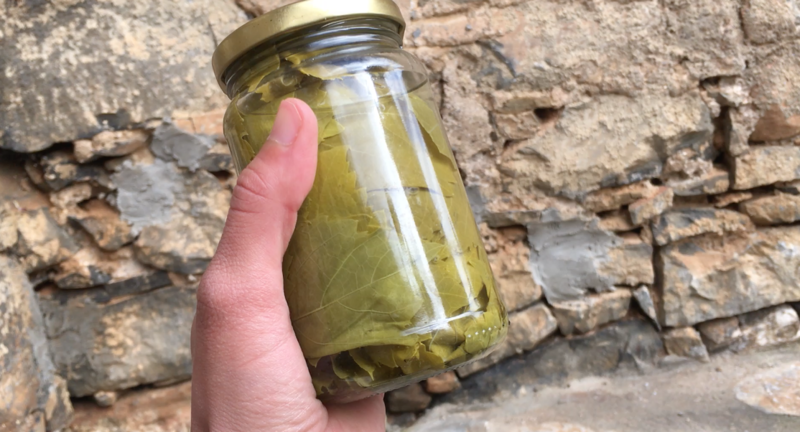 In this video and blog I mention SIX traditional foods that are still eaten and drunk to this day on Crete that too have been fermented. These unique products of fermentation are exalted for their taste, shelf-life and even health qualities! You will already know some of these things and others you may be surprised or even intrigued. 1 ) Olives (ελιές). Olives directly off the tree are simply too bitter because of the excess of oleuropein. They need the transformation of lactic-acid fermentation (salt, water, natural yeasts and sugars present on/in the olives, and then time) to release the oleuropeins and create the delicious and rich umami tastes that we know of good olives. The olives featured in the video are ones I harvested on November 22nd (two days after arriving on Crete), sliced down the middle to allow for quicker bitter release, and now (2.5 months later) are these little guys ready for consumption! Patience is a virtue with fermentation. Can you imagine the larger olives… or not slicing into them at all?? It takes ages! 2) Tzatziki (τζατζίκι). The main bulk ingredient here is of course the rich Greek yogurt full of the probiotic lactobacilli bacteria that are helpful to our gut microbiomes. If you want this from scratch you can even make your own Greek yogurt (link to how-to video). Step 1) Mince the garlic and pour the lemon juice over the garlic to lessen the sting and bite from the garlic. This is like a mini-quick ferment that I do with raw garlic or onions so the bite isn’t so harsh and in the morning your breath isn’t a like a fiery garlic-dragon! #lifehack. Step 2) As the garlic is sitting the in the lemon juice, grate a cucumber and heavily salt so the juices of the cucumber are extracted to make a thicker tzatziki. Step 3) Finally chop the dill while the other ingredients are in their juices and doing their thing. Step 4) After some minutes, the cucumber will have released water. Squeeze the grated cucumber of its juices, drink or use for other projects or ferment brines. Step 5) In a bowl mix together yogurt, dill, garlic-lemon mix and cucumber. Add more salt to taste! Eat straight away or allow to sit for an hour to get a deeper more consistent taste. 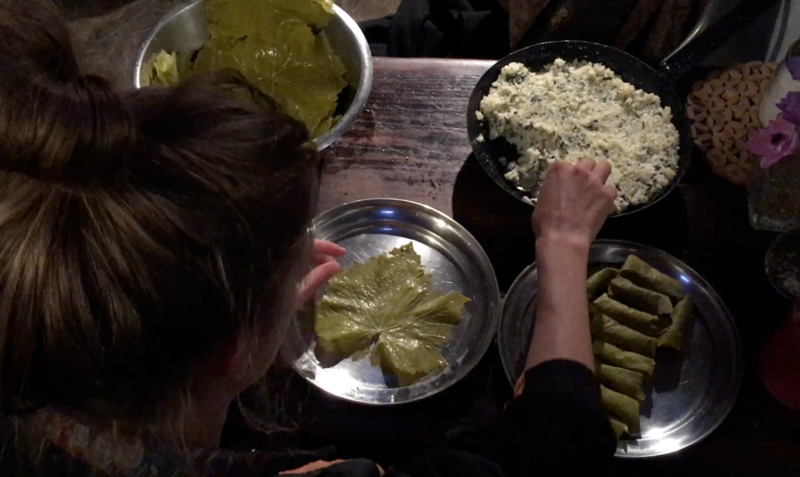 – Dolmades are often made with grape leaves or cabbage! The grape (or wine) leaves are collected in summer when they are large but tender and young. The leaves are wrapped together and preserved in a brine (salt water solution) for months to come. A beautifully sour taste and the perfect rolling mechanism to put rice, couscous and other fillings inside. To be honest, it’s a perfect thing to do on a cold or rainy day as it does take ALLLL afternoon! Here is a link I used when I prepared my dolmades. Get creative and let us know what you stuffed your dolmades with! 4) Dakos (ντάκος) – The first time I was introduced to dakos, I thought they were giant rock-hard croutons. Dakos dough originally was fermented barley. After baking the bread it then is dried for storage. But why dry bread? It is definitely a thing here on Crete. Back in the day on Crete not everyone had an oven. Perhaps one or two people in the village had a good woodfire oven, and so it was a shared tool. (like the kazani still is today__link). When it was a household’s allotted day to bake, they used their time and heat source efficiently and baked in large quantities. 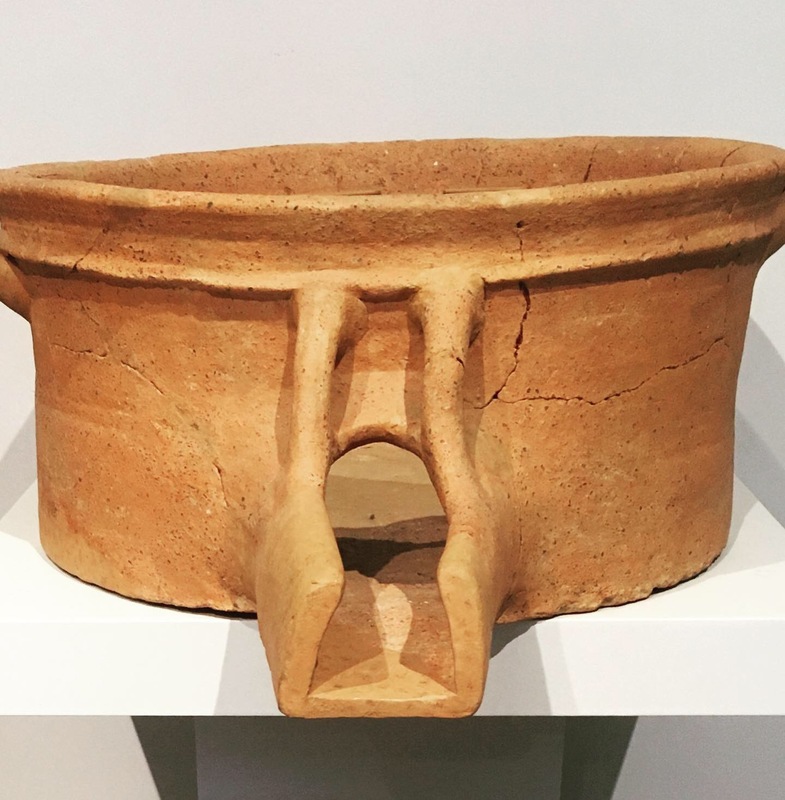 In order to keep the bread for days to come as well in the dry heat of Cretan summer, dakos were made as a mold-free, long-lasting way to keep the bread. Tradition has carried on and they still are a common dish or appetizer served with fresh tomatoes, salt, feta, oregano and lots of olive oil. Don’t forget to soak these hard breads in water for a minute first! The consistency of well prepared dakos is a perfect paradox of crunchy and soggy at the same time. A mixture of bulgur wheat and yogurt or sheep and goat milk fermented for a month then dried in the sun to make a type of ‘dry-instant soup mix’. For my taste buds, although wild and out there, this is one of the strangest ferments. Yet I have noticed it is very prized by the people in the mountainous areas. For the shepherds up in the mountains working a hard long day, this dried lump of soured bulgur-wheat and sheep milk or yogurt is full of nutrients waiting to be reactivated and made into a hearty soup after soaking in water and cooked up with some onions, tomatoes, carrots and sheep fat. Curious to know more about these soured soup preserves? Here is a link to how to prepare trachanas-soup! It is also known to be similar to the Turkish Kischk. 6) Retsina (ρετσίνα) – if you have a chance to get your hands on a bottle of retsina I definitely recommend it for the taste experience. Retsina is a type of wine which was produced in ceramic vessels (also called amphorae), and sealed with pine resin. Because the vessels were porous, and the wine came in contact with the resin sealing, (i.e. not glass nor cork as we have in our wine today), the wine transformed and became a different product, and rather than throwing it away as a failed product, it became a delicacy. It definitely has some interesting aftertaste, I can only describe as liquid patchouli and a slight gasoline taste, but I always say you should try it for yourself! It pairs wonderfully with some local Greek sheep cheeses and olives from your neighbor. Of course there are many more surprises and tastes to explore! 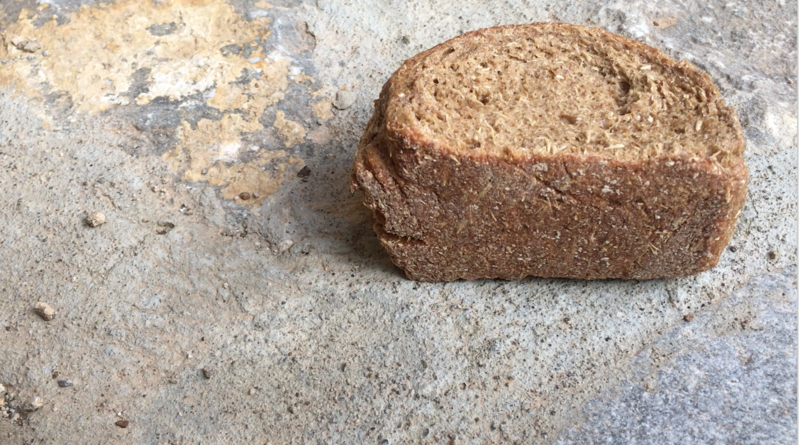 What is something surprisingly fermented where you are? Post your comments below. Thank you for the Tzatziki recipe. A must try recipe. Enjoying your fermentation write-ups!